One of the strangest, and most recurrent, observations about Margaret Thatcher’s funeral was the number of celebrity mourners, including, but not limited to, Katherine Jenkins, Joan Collins, Jeremy Clarkson, Terry Wogan and Shirley Bassey. While some reports remarked on the incongruity between Thatcher and her famous funeral attendees, the visibility and volume of celebrities draws to our attention a very real relationship that existed between Thatcher and generations of entertainers and television personalities. This article will examine the various engagements that twenty-first century writers have with the idea of Thatcher-as-celebrity. Most prominent amongst these texts is Gordon Burn’s Born Yesterday – The Novel As News (2008), which focuses on events that occurred in summer 2007. Burn’s text opens with the elderly ex-premier Margaret Thatcher walking around a Chelsea park. Her carefully monitored outing prompts Burn to meditate on the key events of that summer and explore the post-Thatcher world composed, as he sees it, of absences and celebrity culture as typified by the disappearance of Madeleine McCann and the end of Tony Blair’s tenure as Prime Minister. Through exploring the lineage from Thatcher to Tony Blair and Gordon Brown, Burn offers a critique of New Labour and the cultural legacy that Thatcher left the United Kingdom. Even in her elderly state, Margaret Thatcher remains a 'carrier of large, significant, exciting events' (Burn, 2008: 11) and the point from which the novel’s intricate links emanate. Burn sees Mrs Thatcher in a Chelsea park not long after she retired from public life; her appearance demands as much attention as it did at the height of her power but now it marks an absence and a lack of authority. Dressed in anonymous clothes she blends into her surroundings and is no longer the 'Iron Lady' of old (Burn, 2008: 8). She has become a stereotypical old lady with a hairdo, that instead of the iconic 80s power haircut, reminds Burn of his 'own mother’s hair' (Burn, 2008: 8), her famous jewelled bracelet now the only thing connecting Thatcher to her past and 'this, older failing woman with the vigorous younger one' (Burn, 2008: 9). For Burn, public memory has become interwoven with private memory; as Thatcher becomes part of the familiar scenery of the park and she is referred to, with an air of ironic familiarity, as 'Mrs T' (Burn, 2008: 24). Her hair was so perfect that he started to picture it wet and hanging over her face. She was wearing a long black skirt and a wide-shouldered white-and-gold jacket, amazingly embroidered, like a Ruritanian uniform, and cut low at the front to display a magnificent pearl necklace (Hollinghurst 376). This perceived perfection marks an unreality that suggests the need for deconstruction, a neat comment on the relationship between audience and modern celebrity. Her outfit, an epitome of 1980s power fashion, suggests the wearer is concerned with adventure, mystery and romance, Ruritania being a fictional setting for stories by Anthony Hope. Burn’s initial, deceptively gentle, description of an elderly, possibly lonely, lady is at odds with other, more vicious portrayals of Thatcher like that in David Peace’s GB84 (2004), in which Thatcher is a demon with Lazarus properties: 'the Circle of the Tyrants kneel – / To hear her beat her bloody wings, in her new and lonely Reich – / Herr Lucifer! Herr Thatcher!/ Beware! Beware! She will eat you like air' (Peace 440). Philip Hensher’s The Northern Clemency (2008) also focuses on Thatcher’s body in his depiction of her need for power above all else. As Thatcher appears on television footage of the Strike alongside Arthur Scargill, Malcolm, one of key characters in the novel: 'wondered, too, and not for the first time, which of them got through more Elnett to keep their hair in place' (Hensher 409). Her iconic hair both signifies artificiality and a keen awareness of her public image. Portrayed as a media construct, operating at a remove from reality, Peace and Hensher portray Thatcher as an absent presence. In contrast, Thatcher haunts James Graham’s This House (2012): a play in which she is literally absent, never appearing on stage, yet where her presence is almost stifling: 'The Lady is not happy [….] She really can’t understand why they’re still alive, over there' (Act 2, Scene 1). Burn’s portrayal places her in the real world yet highlights a different type of absence – the absence of post-celebrity life, an absence that marks the presence of Mrs Thatcher in the park. She no longer carries her iconic handbag that had become part of, not just her iconography, but her 'armoury' (Burn, 2008: 27). Yet her right hand keeps going to push back the non-existent strap and Burn quotes Elaine Scarry’s The Body in Pain: The Making and Unmaking of the World (1988), as it is the body that contains memories of the past: 'What is remembered in the body is well remembered' (Burn, 2008: 27). This is the first in a series of absences that Burn explores throughout the text beginning with Thatcher’s body and ending with a meditation on Damien Hirst’s crystal skull (For the Love of God, produced and exhibited in 2007): Born Yesterday begins with the consideration of one skull and ends on another. Born Yesterday portrays Thatcher’s afterlife in order to comment on the state of modern politics and offer a subtle critique on the failures and legacies of Thatcherism. In the park where Burn sees Thatcher there is a group of professional dog-walkers who make-up 'a loose, slightly uneasy, and yet clearly defined community within the broader community of the park' (Burn, 2008: 1). The idea of community in the context of the most notorious Conservative Prime Minister of the twentieth century has a charged meaning and recalls Thatcher’s famous statement 'there’s no such thing as society.' By placing Thatcher beside a community, albeit an uneasy community, and indeed also within a wider community of the park, Burn undercuts her most famous idea and shows the hollowness of her predictions. It is in both the media presence and personal characteristics of future politicians that Thatcher’s legacy lies, in what Burn describes as the 'new hosed-down, post-ideology, voter-friendly Labour Party' (Burn, 2008: 71). Thatcher’s overarching achievement can be seen, most visibly, in the political and public personas of subsequent Labour politicians. As Burn first focused on Thatcher’s hair to begin his meditations on her power, he similarly focuses on small details such as Thatcher’s inability to deal with a plumbing emergency following her departure from office and Blair’s boasted that he did not own a mobile phone and 'never touched a computer during his years as prime minister' (Burn, 2008: 9). Both display a disconnected-ness from modern life. They also have a physical closeness as Burn describes how Thatcher took Blair’s arm at a memorial service to mark the twenty-fifth anniversary of the Falklands War. 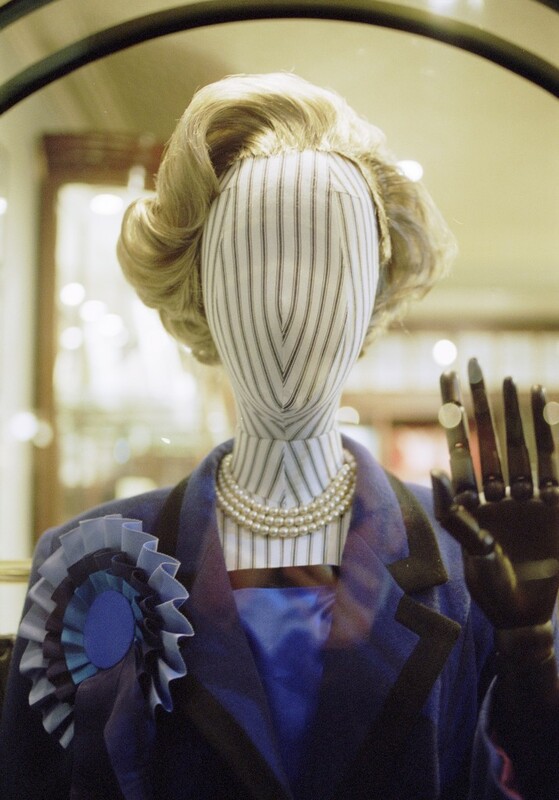 Whereas Thatcher’s missing handbag draws attention to the summer of disappearances that Burn explores, her policies have been passed down to successive governments. So too have her body parts. Blair has a 'bonkers, aniseed-ball eye' which 'he seemed to have inherited from Mrs Thatcher' (Burn, 2008: 167). Gordon Brown too is measured against Thatcher, alluded to as the 'Iron Chancellor' (Burn, 2008: 49) and recorded as showing John Smeaton (the baggage handler who became famous for his heroics during the 2007 Glasgow International Airport attack) into his favourite 'Thatcher Study' (Burn, 2008: 100). Burn argues that Thatcher’s presence can be seen in modern celebrity as well as modern politics, revisiting a theme explored in a previous novel The North of England Home Service (2003). His fictional club entertainer Ray Cruddas was 'virtually court jester' (Burn, 2003: 25) at Downing Street and Ray and his wife were regular guests at Westminster and Whitehall where Thatcher admired Ray ‘ "perma-tanned" and "smarmy" to his critics' (Burn, 2003: 25), the very epitome of the 1980s-pull yourself-up-by-your bootstraps self-made man. Similar criticisms would later be directed at Tony Blair twenty five years later. Not only this but the Cruddas-Thatcher relationship shadows Thatcher’s close friendship with Jimmy Savile, one of many celebrities she reportedly courted. Burn quotes Richard Schickel’s Common Fame (1985) which argues that the vacuum created by the erosion of traditional ideas of community has been answered by the alternative sense of belonging offered by the celebrity ‘community’, that is a 'small and seemingly cohesive group of well-known individuals who share close communal ties with one another at the high centre of our public life' (Burn, 2008: 60). Thatcher’s position within this community again undermines the idea that there is no such thing as community or society. The McCann case is used to suggest the dense interconnections of celebrity life into which Thatcher is enmeshed: Michael Caplan QC, the legal advisor to Kate and Gerry McCann, also represented Chilean dictator Augusto Pinochet, who was eventually arrested 'just after having tea with his friend Lady Thatcher' (Burn, 2008: 59). Alongside the closeness of celebrity connections, celebrities themselves blend into one another. At Wimbledon Thatcher gives a small 'regal wave' after causing a 'kerfuffle' (Burn, 2008: 17) appearing in the same outfit as the Queen. This uneasy relationship between the Queen and Thatcher is depicted in Peter Morgan’s play The Audience (2013) with the two displaying ideological differences and Thatcher clearly unhappy at not being the most powerful person in the room: 'Mrs Thatcher curtsies slowly – exaggeratedly deeply, in a contrived, teeth-clenched gesture of reluctant deference' (Morgan 62). The closeness of celebrity relations are not without friction. Through considering Mrs T in the park Gordon Burn depicts a society at the beginning of the twentieth century in which Thatcher’s legacy can be seen in politicians and celebrity relationships. 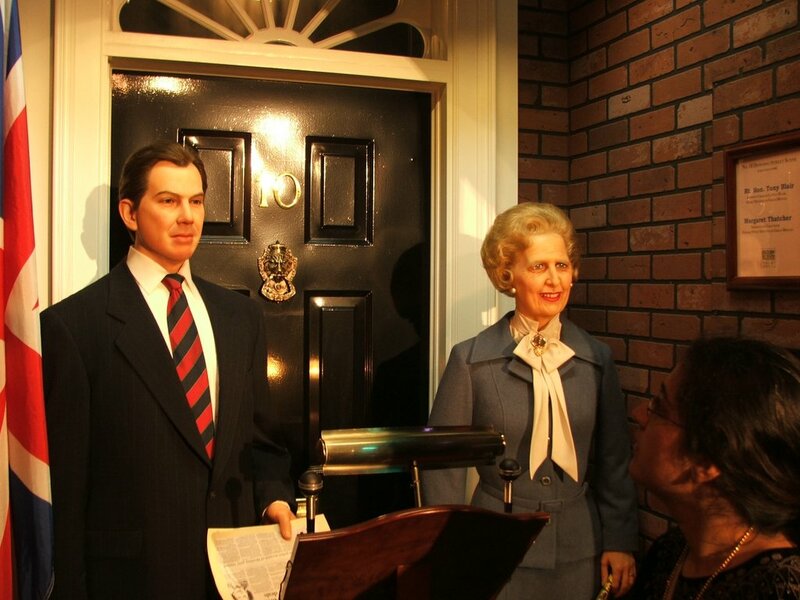 Though her elderly frame contains only echoes of her former self, her legacy looms large in the figures of subsequent Prime Ministers and their close approximation to modern celebrity. CITATION: Rhona Gordon, "Gordon Burn and Mrs T," Alluvium, Vol. 2, No. 4 (2013) ("Thatcher's Legacies" Special Issue): n. pag. Web. 21 July 2013, http://dx.doi.org/10.7766/alluvium.v2.4.02. Anon. Margaret Thatcher: From Dynasty to News at Ten, celebrity guests of Iron Lady era,’ The Telegraph Online, 12 April 2013 [accessed 12 June 2013]: http://www.telegraph.co.uk/news/politics/margaret-thatcher/9988763/Margaret-Thatcher-From-Dynasty-to-News-at-Ten-celebrity-guests-of-Iron-Lady-era.html. Burn, Gordon (2003). The North of England Home Service (London: Faber and Faber, 2003). Burn, Gordon (2008). Born Yesterday (London: Faber and Faber, 2008). Hensher, Philip. The Northern Clemency (London: Fourth Estate, 2008). Hollinghurst, Alan. The Line of Beauty (London: Picador, 2004). Peace, David. GB84 (London: Faber and Faber, 2004). Milmo, Cahal. ‘Revealed: Jimmy Savile’s close friendship with Margaret Thatcher.’ The Independent 28 December 2012: http://www.independent.co.uk/news/uk/politics/revealed-jimmy-saviles-close-friendship-with-margaret-thatcher-8432351.html [accessed 1 June 2013]. Morgan, Peter. The Audience (London: Faber and Faber, 2013). Percival, Ashley. 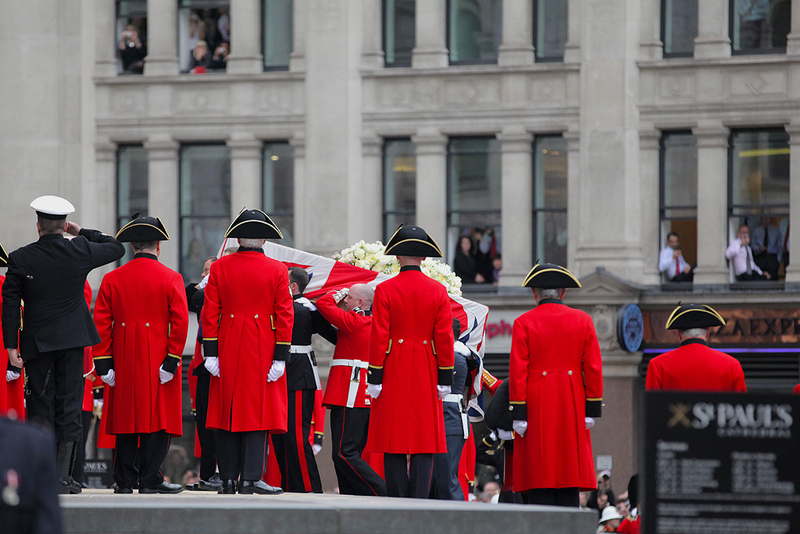 ‘Margaret Thatcher Funeral: Katherine Jenkins Leads Celebrity Attendees.’ The Huffington Post, 17 April 2013 [accessed 12 June 2013]: http://www.huffingtonpost.co.uk/2013/04/17/margaret-thatcher-funeral-katherine-jenkins-celebrity-attendees_n_3098678.html. Philpot, Robert. ‘Blair and Thatcher: What’s the Difference?’ The Huffington Post, 16 April 2013 [accessed 1 June 2013]: http://www.huffingtonpost.co.uk/robert-philpot/blair-thatcher-whats-the-difference_b_3083654.html. Scarry, Elaine.The Body in Pain: The Making and Unmaking of the World (Oxford: Oxford University Press, 1988). Schickel, Richard. Common Fame (London: Pavilion, 1985). Thatcher, Margaret. ‘Interview for Woman’s Own.’ Margaret Thatcher Foundation, 23 September 1987 [accessed 1 June 2013]: http://www.margaretthatcher.org/document/106689.